Law and Lawyers: Report on Doping in Sport - is the committee process fair? Report on Doping in Sport - is the committee process fair? The House of Commons Digital, Culture, Media and Sport Committee (DCMS) has published a report on combating "doping" in sport - see the report here. The committee's report is the culmination of the work of two committees, formed either side of the 2017 General Election. Section 2 of the report focuses on cycling and its findings are critical of British Cycling, Team Sky and a number of named individuals including Sir Bradley Wiggins but did the committee adopt a fair procedure before publishing its report? In Section 4, the report considers whether "doping" in sport should be criminalised. In September 2016, the Russian-based cyber espionage group, Fancy Bear, published documents obtained by hacking into the World Anti-Doping Agency (WADA) computer systems, which showed how a number of athletes had been granted Therapeutic Use Exemptions (TUEs), which permitted them to take medicines to treat long-term conditions like asthma or pollen allergies. These exemptions were required because the drugs that were requested to be administered were banned within periods of competition in the absence of TUEs. The ethics of the TUE system have been controversial since the use of some drugs can also have performance enhancing properties. 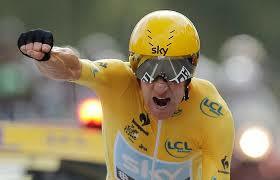 Three TUEs granted to Sir Bradley Wiggins have come under particular scrutiny. They were issued before the 2011 and 2012 Tour de France, and the 2013 Giro d’Italia, for the use of the powerful corticosteroid, triamcinolone, to treat his asthma. Each of these applications was approved under the WADA rules at the time, by a single doctor at WADA, Mario Zorzoli. The committee decided to examine how British Cycling, as a national governing body, and Team Sky (then the team of Sir Bradley Wiggins) ensured that the proper anti-doping procedures were being followed. The committee's conclusions are at paras. 105 to 111 and include a call for WADA to introduce a complete ban on corticosteroids. In relation to Sir Bradley, the report expresses its belief (para 110) that "triamcinolone was being used to prepare Bradley Wiggins, and possibly other riders supporting him, for the Tour de France. The purpose of this was not to treat medical need, but to improve his power to weight ratio ahead of the race. The application for the TUE for the triamcinolone for Bradley Wiggins, ahead of the 2012 Tour de France, also meant that he benefited from the performance enhancing properties of this drug during the race. The report does not contain any indication that this conclusion was put to Sir Bradley before its publication. He was not called as a witness at a committee hearing - (see list of witnesses) - though he gave brief answers to four written questions - here. Other individuals criticised in the report are Dr Richard Freeman (British Cycling and Team Sky Doctor 2009-15) and Sir David Brailsford (General Manager Team Sky). Dr Freeman, who gave written evidence to the committee but was not called as a witness, now finds himself subject to a report stating that the General Medical Council should investigate his conduct and, if he is found to have breached their rules, take appropriate action against him. Sir David Brailsford was called as a witness on 19th December 2016. On 5th March, Sir Bradley commented on Twitter - "I find it so sad that accusations can be made, where people can be accused of things they have never done which are then regarded as facts. I strongly refute the claim that any drug was used without medical need. I hope to have my say in the next few days and put my side across." Team Sky have issued a statement "strongly refuting" the serious claim that medication has been used by the Team to enhance performance. "The report also includes an allegation of widespread Triamcinolone use by Team Sky riders ahead of the 2012 Tour de France. Again, we strongly refute this allegation. We are surprised and disappointed that the Committee has chosen to present an anonymous and potentially malicious claim in this way, without presenting any evidence or giving us an opportunity to respond. This is unfair both to the Team and to the riders in question." In December 2016 the Treasury Committee issued a document prepared by Andrew Green QC on the subject of "Maxwellisation" - HERE. Maxwellisation’ - is a procedural practice which derives its name from litigation in the early 1970s involving Robert Maxwell. It is the practice whereby a person who faces criticism in a public report is given an opportunity to respond to such criticism prior to publication of the report. This is done either by providing the person with the passages of the draft report containing the proposed criticism or by providing a summary or the gist of the proposed criticism. 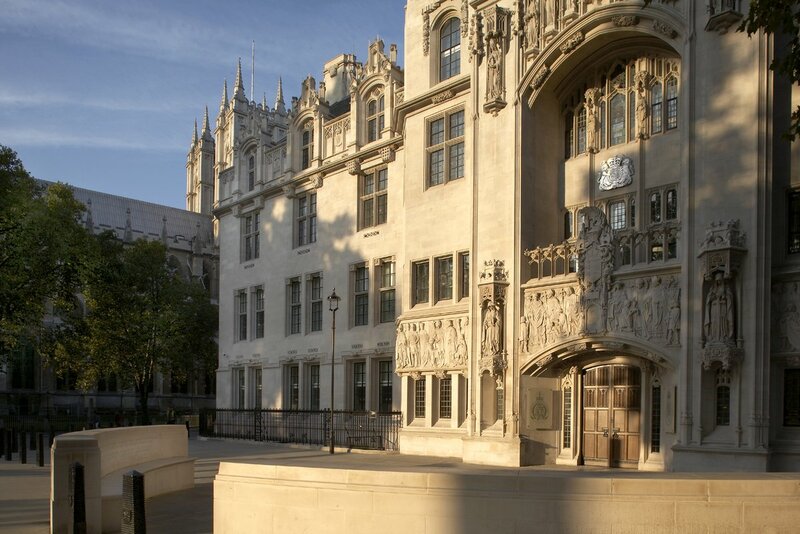 Andrew Green's document points out that the Court of Appeal has held that a person should not be criticised in a public report without first having a fair opportunity to respond to that criticism. Parliamentary Committees have considerable powers and their reports can be very influential not only in Parliament and government circles but in the wider world. As such, it seems vital that they apply appropriate standards of fairness. One is left wondering whether this standard was adequately applied in this instance. Section 3 of the report considered the funding available to WADA and to UK Anti-Doping (UKAD). The report states - "It is important that both WADA and UKAD are adequately funded to deal with the huge problem of doping in sport. These important anti-doping bodies cannot fulfil their mandate with insufficient funding. An obvious solution is that sports that benefit from their activities—and particularly wealthier sports—should contribute more. We are attracted by the idea of sports contributing a fixed percentage of their income—from sponsorship or overall—to give the anti-doping bodies some security in planning their programmes and expanding their resources. We are pleased to note the increase in funding from Government to UKAD following the Tailored Review. However, given the pressures being placed on UKAD, it may need even greater resources that these, and there should be a larger contribution from the sports themselves to supporting the enforcement of the anti-doping rules. The report has been welcomed in a statement issued by UKAD where it is noted that - "
“Triamcinolone is currently only banned in-competition. UKAD has in the past made representations that it and other glucocorticoids should be banned at all times (including out of competition). We understand that a World Anti-Doping Agency (WADA) appointed Glucocorticoid Expert Working Group has met to consider this but that it concluded that the status of glucocorticoids on the Prohibited List should not change. UKAD will continue to push for this change." Should doping in sport be criminalised? This question is examined in Section 4 of the report. The committee concludes against subjecting athletes to criminal procedures and penalties but the supply of drugs or promotion of unnecessary medical procedures is a different matter. "The Government should give serious consideration to criminalising the supply of drugs to sports people with intent to enhance performance rather than to mitigate ill-health, and in so doing defraud clean athletes they are competing against. This would send a stronger message about the unacceptability and the dangers of doping, not only to the suppliers but also to the athletes." Further, for UK Anti-Doping to be more effective, it not only needs more resources, but greater powers too. It has no powers to demand to see private papers, and financial and medical records, to aid its investigations. A change in the law to criminalise the supply of drugs to sports people could give UKAD the powers to access documents without seeking prior agreement, and the right to seek the support of the law enforcement agencies in their investigations, as appropriate. The committee considered that "a more graduated approach to sanctions would be most likely to command support, and therefore enforcement. Governing bodies should be readier to impose more than a two-year ban for a first offence, given that having a blood transfusion or taking Erythropoietin (EPO) (a drug that stimulates the bone marrow to produce more red blood cells than it normally would, and is used in the treatment of anaemia related to kidney disease) is not routine medical care and is clearly an action taken with intent to cheat." Calls for a life-time ban from representing the UK for a first offence seems excessive. However, we support the suggestion by the UK Athletics Manifesto, which states that bans for first-time offenders should be extended to five years. This will ensure that cheating athletes could miss two Olympics or two Paralympics. Repeat offenders should forfeit their opportunity to represent the UK again. "Released under investigation" ~ what is this?